Buying a Chrysler is a great choice for those who want a dependable car with luxury features. And for those who own older models, you can appreciate the longevity and dependability they offer. For our certified technicians, nothing is more important than providing you with quality Chrysler service and repair at an affordable price. 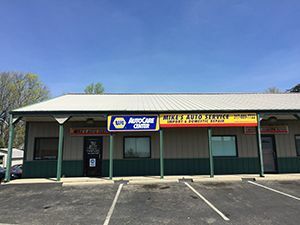 We are a NAPA® authorized auto care center that uses NAPA® and OEM auto parts, so you can rest assure knowing your vehicle is in the hands of qualified professionals. We service and repair all model Chryslers, from Chrysler Pacifica’s to Chrysler 300’s, and much more. Whether you need routine scheduled car maintenance, or major automotive repair, our shop is fully-equipped to get the job done right the first time. We are an honest family owned and operated auto repair shop that strongly believes in work ethic and integrity. We demonstrate this belief by providing Chrysler owners with superior service at economy-based prices. Our ultimate goal is to get you back on the road safely, at a price you can afford. Compared to the Chrysler dealership, our services are a fraction of the cost, and new customers are eligible for a 10 % discount! We even provide tow truck options if you need assistance getting your Chrysler to our shop. Call our office today at 3174-889-7722 to request a quote, or to schedule an appointment.